This is a sponsored post written by me on behalf of Bobs & LoLo. We just got back from a 17 hour road trip (each way! ), and let me tell you something, entertaining a toddler who’s strapped in a carseat, for that long, is no easy feet! But it’s doable! Being prepared and having Bobs & Lolo music (our sponsor) definitely helps! 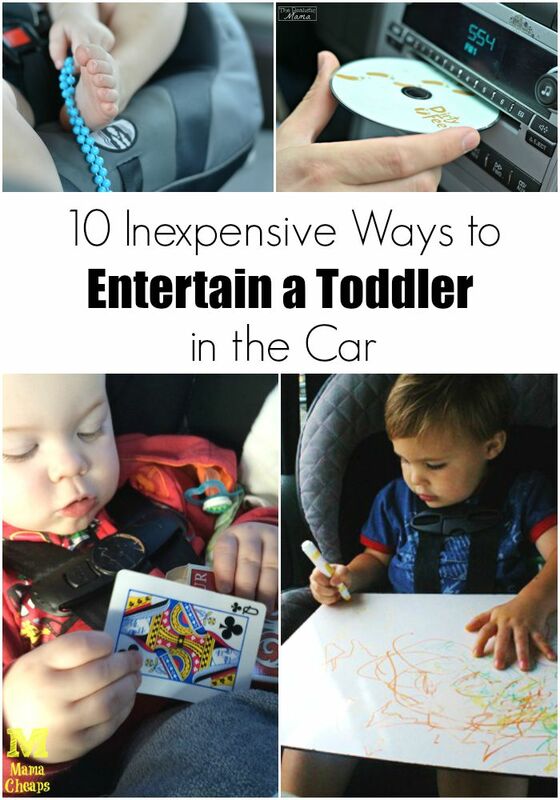 Here are our 10 tried and true ways to entertain a toddler in the car no matter how long, or short, your trip is. 1. Food — enough good things can’t be said about the benefits of having lots and lots of snacks. A hungry kid in the car is absolutely no fun at all! So stock up on a few favorites, preferably less messy foods. Crumbly is fine, sticky stuff I’d rather not mess with. 2. 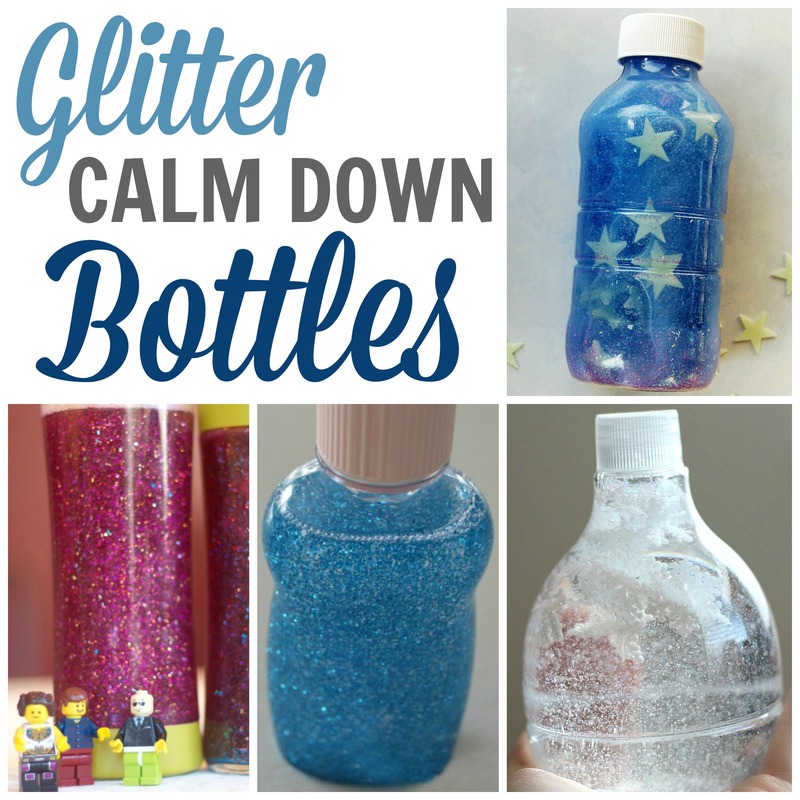 Make ahead a few different Calm Down Bottle variations for your toddler to shake, watch, and wind down! These are perfect right before nap time to help your toddler relax. Looking at books around nap time is also perfect. 3. 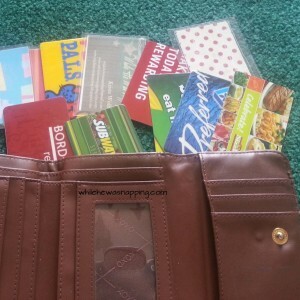 Busy Wallet — this brilliant idea is from While He Was Napping. Grab an old wallet and fill it with tons of old membership cards to create free entertainment. 4. Music — is a must! We love playing the copy game while we listen. I would do a dance move in the front (don’t worry my husband was driving) and then my toddler would copy the same move. We did this for a while and then switched, she made up moves which I had to copy. It’s a silly song but I absolutely adore the message behind it! Let kids be kids — let them get dirty! Sometimes we accidentally over-protect them from things that aren’t harmful… like mud. It’s refreshing to have something upbeat, inspiring, and clean to have my daughter listen to! Bobs & LoLo are currently touring North America. So definitely check out their Facebook page for dates and location to see if there’s one near you or near where you’re traveling too! It would make a super fun day for the kids! 5. A White Board — this idea, from the Poe Fam, I didn’t find it until we were back from our trip, but it sounds absolutely genius! I’m sure it would have entertained my daughter for hours and hours. She loves scribbling! I would suggest this idea for older toddlers or if you’re fine if their clothes (and possibly car seat) getting a few marks on them, then go for it now! 6. 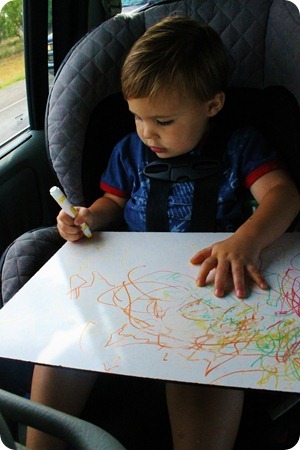 Coloring Sheets on a Magnetic Board — this is the perfect solution for younger toddlers (who are passed the crayon eating stage). Click over to A Spotted Pony for a tutorial on making your own magnetic board from an unexpected household object! 7. 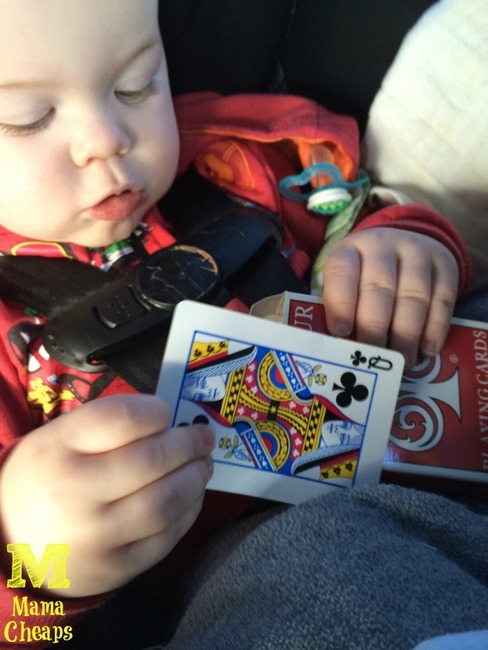 Deck of Cards — I love this idea from Mama Cheaps! Pick up a pack at the dollar store and just hand the opened box to your toddler with no rules attached. If they end up getting tossed everywhere, bent, missing, etc it’s worth the entertainment you’re gonna get out of them! 8. While you’re at the dollar store, also pick up a New Toy or two…. we grabbed a slinky and a pretend cell phone. For $2 it was worth a shot and she ended up loving both! I combined the new toys with a few we already owned, including a few toys from the very bottom of the toy bin that she had forgotten about and would be “new” and exciting. 9. I also grabbed some Books and a few random Junk Mail Magazines (I don’t know why but my girl loves looking through magazines) that she could look at during the drive! I then kept all the books and toys in a bag that was easily acceptable during the trip. 10. I’m leaving idea #10 blank… for now… because I know you have some great ideas to chip in! Leave a comment and I’ll come back and edit #10 with a few reader favorites! Looking for more ideas? Check out: 7 more ways to make road trips fun. Be sure to connect with us, The Realistic Mama,on Facebook, Pinterest, Instagram, and by subscribing to our free email newsletter! Phew, and I thought our 3 hour trip was way too long, lol! I love the wallet idea – so simple but toddlers will just love it! We did an 80 hour road trip last fall (20 hour stretches between destinations) with our three kids ages 5 and under. Some things that worked well for us: stickers, clothespins, small containers with holes in the lid to push pompoms through, (finger)puppets, binder of colouring pages and plastic page protectors with dry erase markers. We really loved listening to books on CD. Put audiobooks on hold at your local library – e.g. Robert Munsch, Clifford the Bug Red Dog, Corduroy. The kids could listen and still look out the window instead of completely zoning out watching DVDs. We like pit stops in parks or fields or by beaches so the kids could get out and run. Love the wallet idea!! 10 hour trip coming up and going to make some printable cards for the wallet and laminate them. I’ll reference you for the idea in an upcoming blog post. You’re simply brilliant! A couple of my faves are a cheap cookie sheet and some magnets, usually found at the dollar store. I had found magnetic, “paper doll/dress up” and animal ones (not for a dollar). Also- stickers! A spiral notebook or piece of paper is great for a background. Kiddo can decorate their paper or, “book” then tell you a story, etc. Danielle, those are great ideas! I seriously love them & think I’m gonna try them! Pipe cleaners and beads at a favorite here!